It's time to join Grand County's Premier Health and Fitness Club! Massage therapy services, and More! Try Mountain Life Fitness absolutely FREE for 7 full days with no risk and no obligation. Come try out our club, meet our amazing staff and experience Grand County’s Premier Health Club! Are you eligible for a trial membership? Click for details and to see our membership plans and pricing. Mountain Life Fitness provides members with the ultimate fitness experience! See our newsletter for more information and current events. Remember, MLF offers Small Group Training sessions for both Pilates Apparatus and Barre Works programs! To find out more information, speak with any member of the MLF staff and get started on your 2019 goals today! The next in the series, "Lifetime Weight Management" workshop will be presented on Saturday, February 23rd at 11 AM. Stop by the front desk or give us a call to get more information and find out how to register! 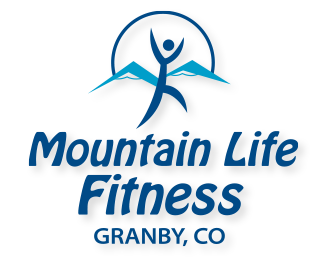 We have worked so incredibly hard with the support of our great staff to make Mountain Life Fitness a reality and are so excited to share our new fitness home with you! "At Mountain Life Fitness, our mission is to train every client to be fitter, faster and stronger - leading to an excellent quality of life." "I am a runner, who rounds-out my conditioning with flexibility and strength training in classes and using the equipment at Mountain Life Fitness. I recently tried the runner’s “gait analysis” personal training session offered at Mountain Life Fitness and I am a delighted customer." "A wonderful place to workout - very welcoming. Staff is knowledgeable and friendly. Facility always clean. Juice Bar is a nice addition, it has a good variety, love shake of the month." "Best place to get in shape; awesome classes, great coaches, nice staff!"